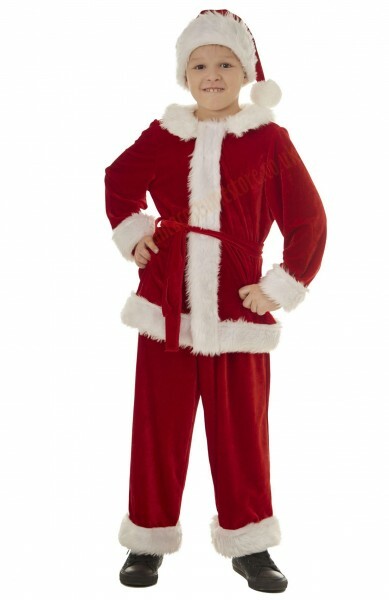 Santa Claus can’t manage to deliver all the presents all by himself, which is why he really needs assistants. And children are particularly good at helping him out – they’re small, fast and nimble. 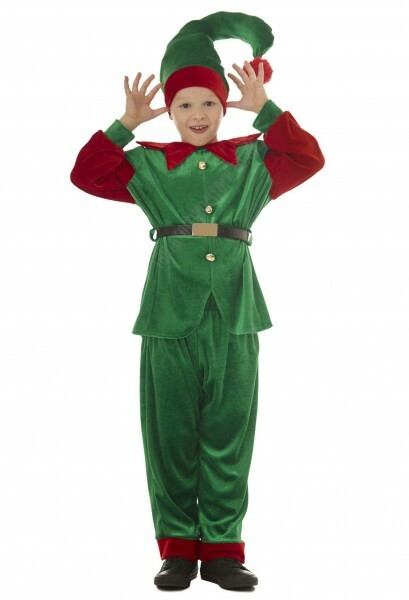 However, they need the right clothes to be his helpers – and we have a unique velour Elf costume for girls. The set comprises a dress and a hat. 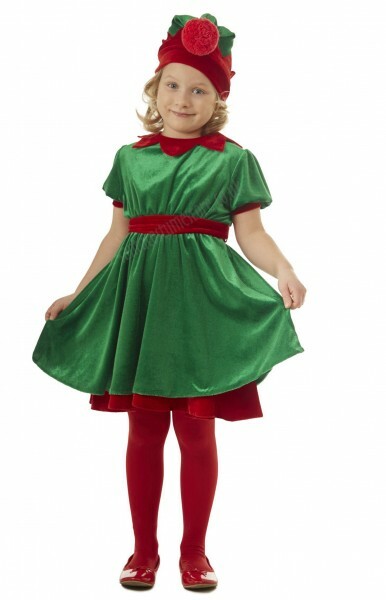 The dress is made of green velour, and features interesting red additions. It also has slightly puffed short sleeves. The dress itself is knee-length. The suit’s red-and-green hat has a unique cut, is gently stiffened, and has a large red pompon suspending just above the wearer’s forehead. 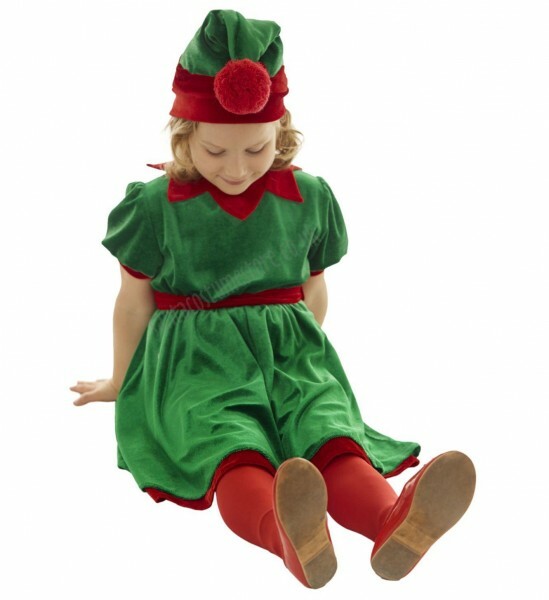 The Elf costume for girls is nice to the touch, breathable, and – which is important for an Elf costume for children – is sufficiently loose-fitting not to hamper the wearer’s movements. 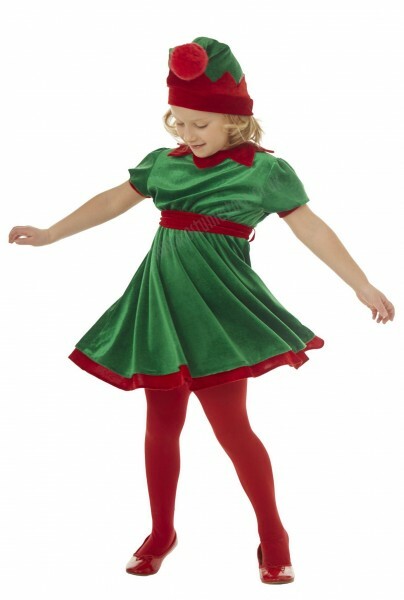 The Elf suit for girls was designed and made specially for our shop. Sizes available: 3-4, 5-6, 7-9 and 10-12. NB – the suit does not include the shoes or tights shown in the photos.